Merchant chooses a product to distribute as a sample and the discount coupon. 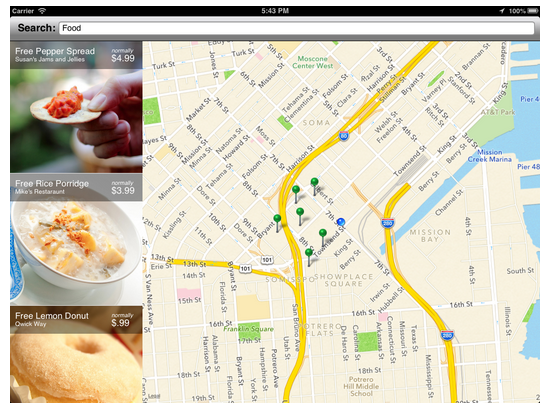 Customers are able to discover (mobile app) all these free samples on a map. After the users sample the product they fill out a survey about what they liked and disliked. roduct before they buy it. Gamification of real world purchases [coming soon].